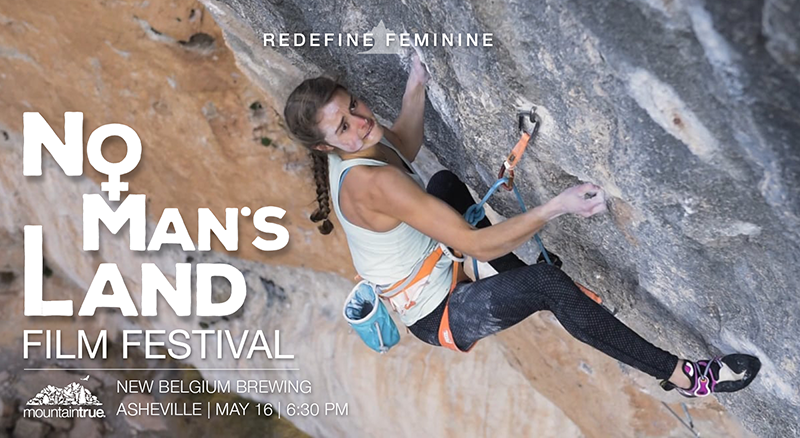 MountainTrue and New Belgium Brewing Company are proud to host the No Man’s Land Film Festival (NMLFF), the only adventure film festival that exclusively features woman-identified athletes, on May 16. This is the third year of the festival world-wide and the first No Man’s Land screening in Western North Carolina. The event takes place at New Belgium Brewing Company at 21 Craven Street in Asheville on May 16, 2018. This is a free event and all are welcome. The program will begin at 8:00pm. No Man’s Land Film Festival is at the forefront of a movement to connect strong, like-minded, action-oriented individuals who are united by their passion for gender-equality and commitment to strengthening the presence of women in the outdoors and in the adventure arena. 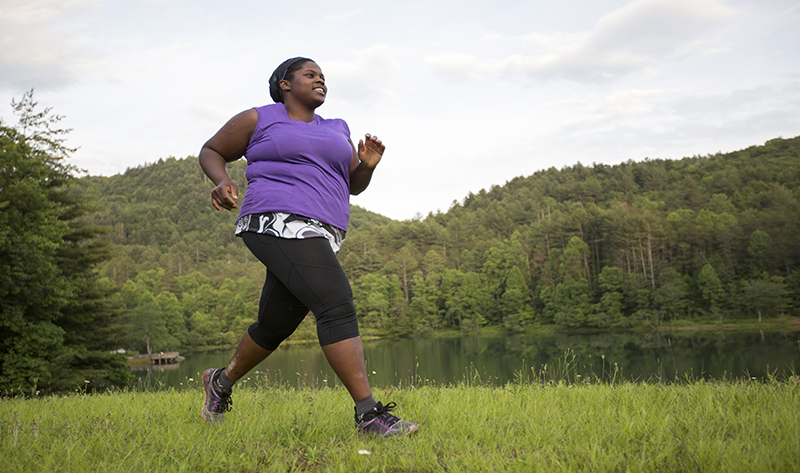 The Festival’s films feature the jaw-dropping stories of women capable of amazing athletic feats and also of women who have risen above stereotype or disability to reclaim agency over their own lives. In their first year of operation, NMLFF sold out every screening — from the historic Crystal Palace in Aspen, Colorado to a gymnasium in Bishop, California. In their second year, NMLFF travelled to upwards of ten states and into Canada. 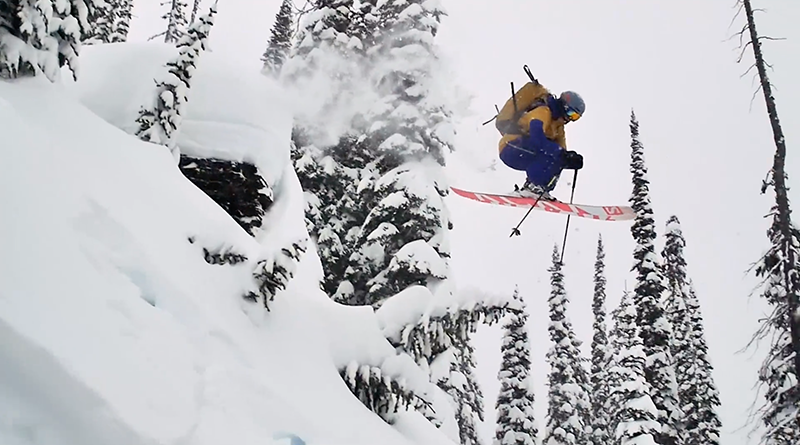 In 2018, the No Man’s Land tour is looking to continue to grow and bring their mission of redefining feminine in adventure and sport through film to a global community. No Man’s Land Film Festival (NMLFF) is the premier all-female adventure film festival based out of the Rocky Mountains of Colorado and on tour internationally. NMLFF celebrates the full scope of female athletes and adventurers, looking to redefine what it means to identify as a woman in the outdoor industry. NMLFF champions women with grit, hustle, determination, and boundless passion, investing in them the respect, support, and media recognition they deserve. A collaboration of men and women, No Man’s Land strives to implement and inspire change in the outdoor industry, while cultivating a deep interest in exploring the vastness of our planet from a female point of view. The NMLFF mission transcends the films presented, acting as a platform for powerful and progressive movement in the outdoor industry.